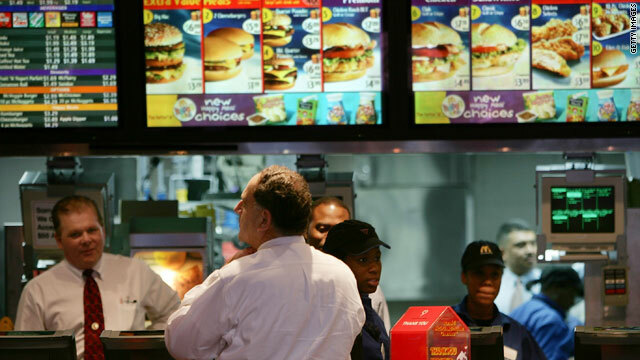 The health care law requires chain restaurants that have 20 locations or more to display caloric information. (CNN) -- The health care bill signed into law Tuesday by President Obama is the nation's most sweeping social legislation in four decades. But it also includes some smaller changes that will directly affect consumers. The health care law requires "succinct statement concerning suggested daily caloric intake" that are "posted prominently on the menu and designed to enable the public to understand, in the context of a total daily diet, the significance of the caloric information that is provided on the menu." Dr. Kelly Brownell, a Yale University psychology professor at the Rudd Center for Food Policy and Obesity, conducted research that found that consumers choose lower-calorie food when their menus contained caloric information and a statement that said "an average person consumes 2,000 calories a day." "A lot of people don't know what it means to have 600 calories," he said. "They have no context and the legislation requires that anchor statement." Nutrition facts would also be required to be posted on vending machine products and drive-thru menus. Temporary specials appearing on the menu for less than 60 days, condiments and test market foods are exempt. "Consumers have the right to this info whether or not it makes a difference on the diet," Brownell said. "But I believe the data will ultimately show that it does." The National Restaurant Association called the passage of the provision "a win for consumers and restaurateurs." The Center for Science in the Public Interest, a nonprofit health advocacy group, praised its passage, calling it a "one of dozens of things we will need to do to reduce rates of obesity and diet-related disease in this country." In recent years, New York City and California have passed laws requiring nutritional information on menus. Earlier this month, Panera Bread announced it voluntarily will post calorie information in all its locations by the end of 2010. But UV-emitting tanning devices have been classified as "carcinogenic to humans" by the International Agency for Research on Cancer, which is part of the World Health Organization. The flexible spending account allows consumers to use pretax dollars for health care expenses. Under the current rule, employers set the limit on how much their employees can set aside for FSAs. But by 2013, the law limits the accounts to $2,500. This cap is not expected to constrain most people, because the average amount in FSAs is $1,400, said Bob Natt, the CEO of PayFlex, a company that manages employee benefit programs. FSAs can be used to pay for doctor's bills, prescription medicine and over-the-counter items such as pain relievers, antihistamines, acne drugs and wart removers. But under the new law, these over-the-counter drugs would no longer be eligible FSA expenses after this year. This is not expected to be a big issue for consumers as only a small percentage of FSA amounts are used to purchase over-the-counter medication, Natt said. About 70 to 80 percent of FSA payments are spent on deductibles, co-payments and prescription drugs, he said. Since FSAs are pretax dollars, the government could be trying to raise revenue by discouraging more money from going into these accounts. "You decide to put less dollars [into the FSA] because you can't have certain benefits like buying over-the-counters, then the federal government gets more money," Natt said.